It’s the most wonderful time of the weeeek. I mean we all love the weekend amirite?! And sometimes we can fall into a rut of wearing our staple weekend wear-what we know looks good or is comfortable. 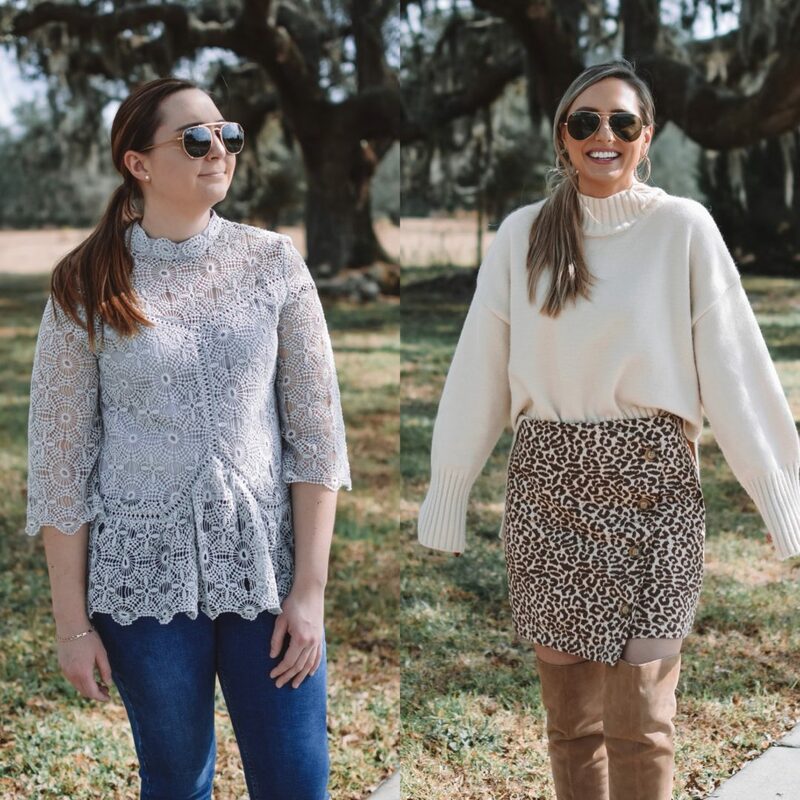 We figured today we would share two weekend outfits with you that are a bit different and fun! 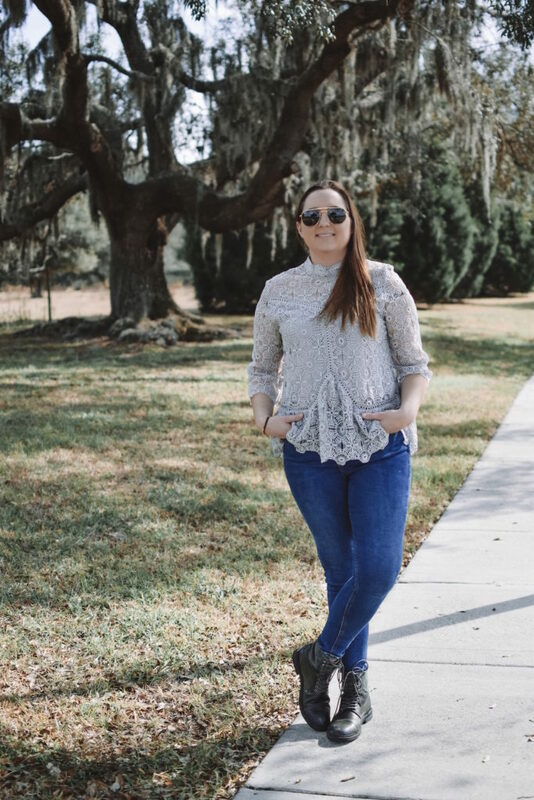 It can be easy to always resort to the same go-to ensembs, trust us we feel ya, but hopefully these outfits give you some inspo to change it up! 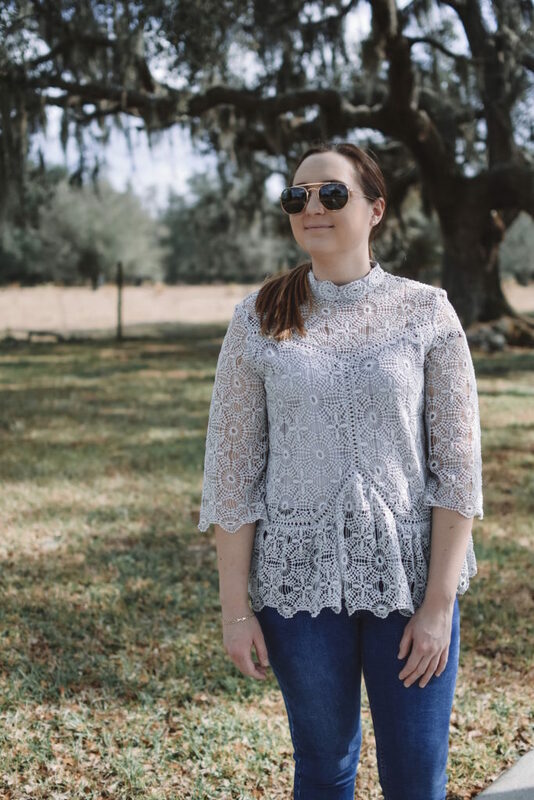 This crochet peplum top is sooo pretty! 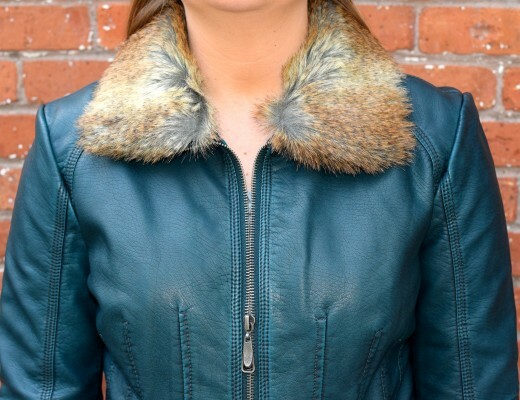 The detail is gorgeous and the color is perfect for transitioning into Spring. To change it up a bit Tee edged this girly top up with some lace up boots. 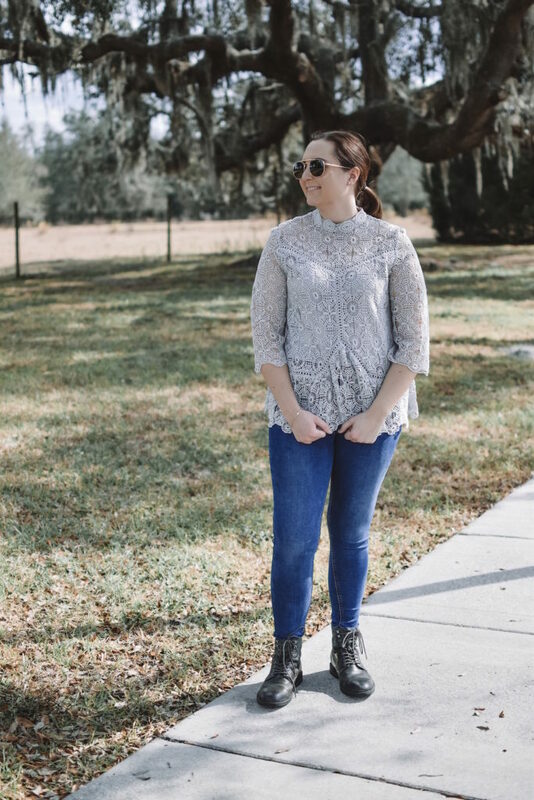 It is easy to throw on some heels with a pretty top like this, but styling it with some boots gives this outfit a fun twist! It is the perfect outfit for these chilly winter months-just throw on a coat and you’re good to go! 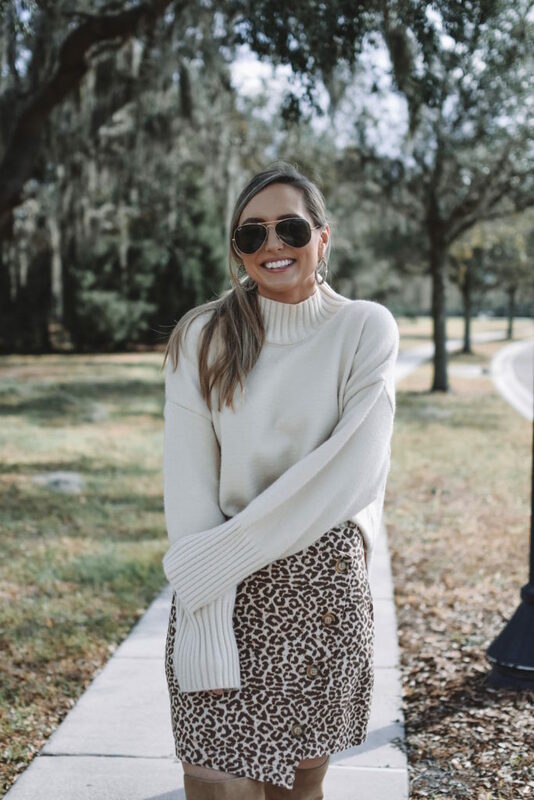 This sweater is seriously one of my favorites! I love the neutral color and the cut. It has a high-low hem and is SO cozy. 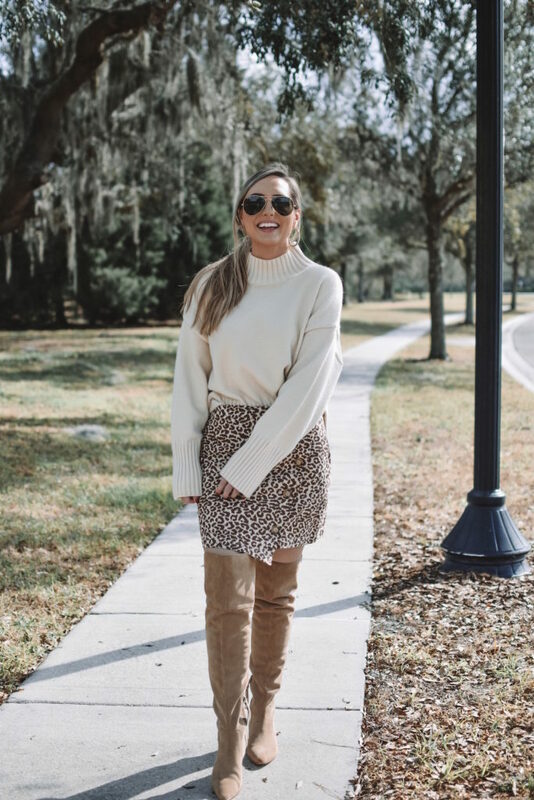 You can style it an endless amount of ways, but today I styled it with some leopard print! 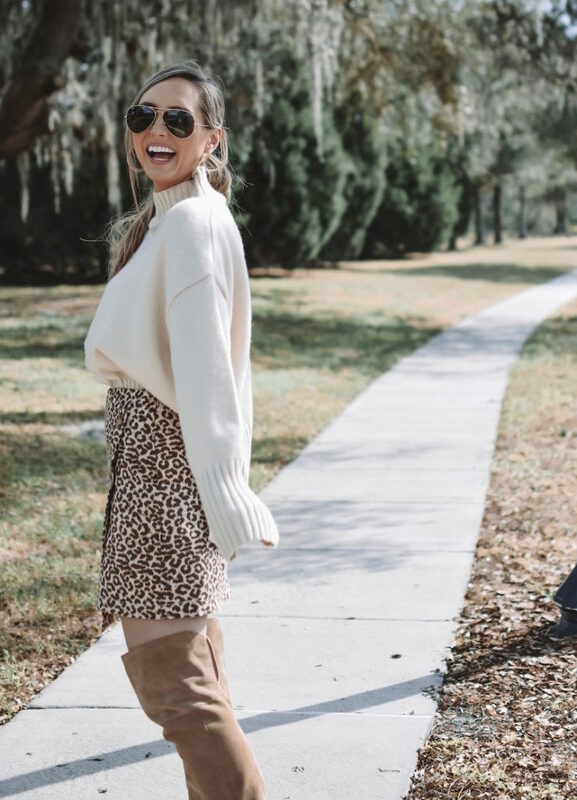 I love a good neutral look and leopard is definitely a neutral in my book. Because it’s still chilly out I paired it with some otk boots to keep my legs warm. You can wear it tucked in like i did or layered over a skirt or dress works too! There is nothing wrong with a good go-to weekend look, especially when the temps are chilly and the weather is dreary. But sometimes you just need to mix it up and get out of your typical wardrobe routine! Love both these weekend looks! 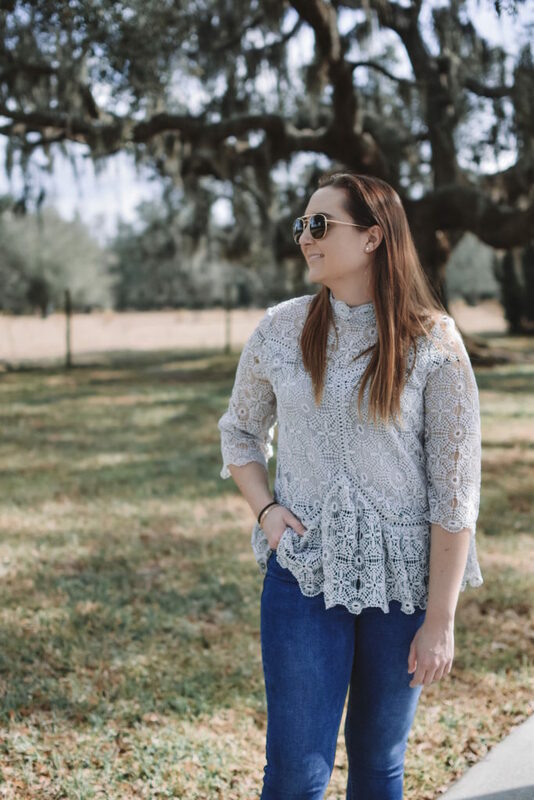 The crochet peplum top is so pretty and I’m always a fan of leopard print!